What is Mindfulness and Why is it Important in a Workplace? How we control and channel our emotions has a powerful impact on our personal and professional lives. Negative emotions have the ability to cause stress and anxiety and divert energy away from productive activities or behaviours. By practicing mindfulness, you will be better equipped to recognise negative emotions and handle them in healthier, less stressful ways. Mindfulness is moment-to-moment awareness. Originally a Buddhist concept, the basic philosophy of mindfulness is self-awareness. Mindfulness establishes a heightened sense of awareness of yourself and your environment. You are very aware of your thoughts and feelings, but you do not react or judge them. You become free from your tendency to have a quick emotional response. Mindfulness enhances emotional intelligence and equips us with the ability to manage our emotions internally and externally. Mindfulness and its impact on stress is also linked to a number of physiological benefits including lower blood pressure, improved memory, and reduced depression and anxiety. Practicing mindfulness not only has physiological benefits for individuals but also has a positive impact on the workplace. Mindfulness drives many aspects of a healthy workplace including well-being, relationships, and creativity. Resilience and the ability to deal with difficult situations is critical to well-being. During stressful periods, employees with high levels of resilience will be able to persevere and remain engaged and productive. Mindfulness at work can support resilience by equipping employees with the ability to understand their emotions, their level of stress, and their ability to influence them. Mindfulness training enables employees to respond to difficult situations effectively and has been shown to have a positive effect on burnout, wellbeing, and stress. Other research has shown that employees who practice mindfulness have higher levels of well-being through improved emotional resilience, better work-life balance, and higher job performance ratings. Healthy working relationships are a cornerstone of employee happiness at work. Positive working relationships yield more productive teams, altruistic behaviour, and ultimately increased productivity. Many mindfulness studies have shown a clear link between mindfulness and improved workplace relationships. The link between mindfulness and relationships also extends beyond the workplace to more satisfying personal relationships and increased empathy and sympathy when interacting with others. Creativity is essential for innovation and problem-solving. Without creativity, new products and services will not be developed and processes will not improve. There is evidence to support a relationship between mindfulness and creativity. When people are in better control of their emotions, they experience less stress and can be more creative. Mindfulness can assist in creative thinking through providing increased focus, greater idea generation, and improved receptiveness to new ideas. Typically, these are courses led by a facilitator or teacher for several weeks. Employees may attend classes multiple times per week and be asked to practice mindfulness on their own as well. This time commitment may not be feasible for the organisation or its employees, but facilitator-led sessions are a great way for employees to receive structured mindfulness training. Mindfulness training that is done in a group setting also tends to have a positive impact on the workplace culture. Webinars are similar to facilitator-led programmes, but they offer the flexibility of virtual participation. These programmes tend to be lower cost, scalable across different locations, and may also provide employees with a greater sense of confidentiality. However, webinars have their own challenges as participants are less accountable, there may be less engagement, and there can be technical issues with programme delivery. Digital programmes can provide employees with the greatest autonomy for mindfulness training. These programmes can be on-demand or delivered according to a certain schedule. A high degree of flexibility and a low cost of delivery are the biggest benefits of digital training. However, these programmes can be the most challenging when it comes to engagement and lasting effectiveness. Mindfulness offers a host of organisational and personal benefits ranging from physiological health to improved relationships at work. 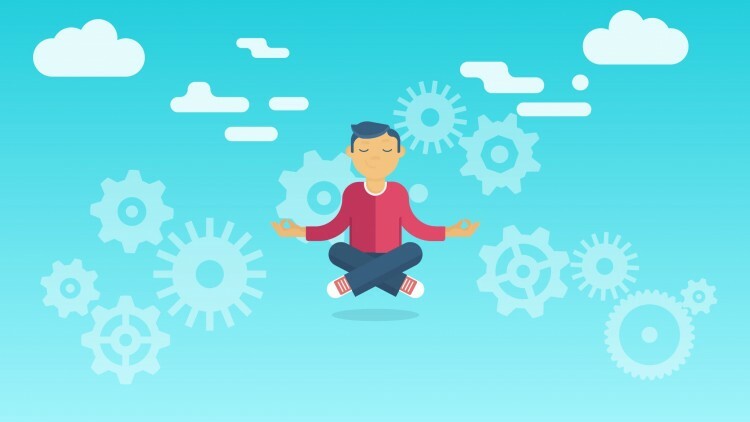 Regardless of the type of mindfulness training you plan to offer, make sure that the key benefits of mindfulness are aligned with your organisational goals. In order to have a long-lasting impact, any type of workplace training requires leadership buy-in and support. Address: Head office Dublin (Ireland) 42D Pearse Street D2, Dublin.